Vijaya Rahatkar is a leader of Bharatiya Janata Party from Maharashtra. She is the National President of BJP Mahila Morcha, women's wing of the party. She earlier served as the mayor of Aurangabad in Maharashtra. 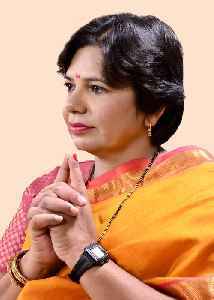 Vijaya Rahatkar is currently heading the Maharashtra State Commission for Woman at Bandra, Mumbai.3 On 21 February Maharashtra government has re-appointed Vijaya Rahatkar as the Chairperson of the State Women's Commission for three years.